Trainees can also enquire about certification programmes on becoming Yoga instructorson orientation day. 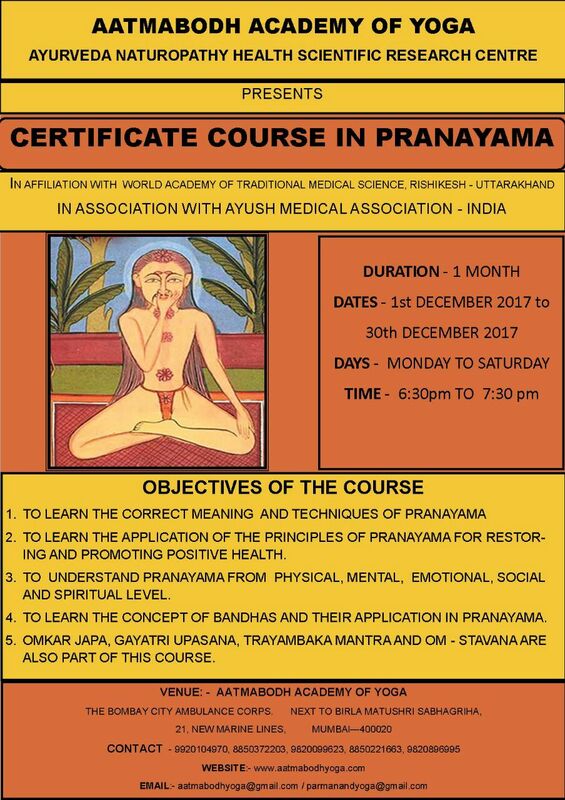 Everyone can join the course who areinterested to learn the Pranayama with correct and scientific methods. Preference will be given to Yoga Teachers and those who have already learnt and are practicing Pranayama. Admission first -come -first basis, Limited Seats. Theory, Practical and Viva assessment on 28th and 29th Dec 2017. CERTIFICATION –Certificate will be issued only to Successful candidates, those who have cleared the assessments.Successful participants will receive Certificates on 30th Dec 2017.